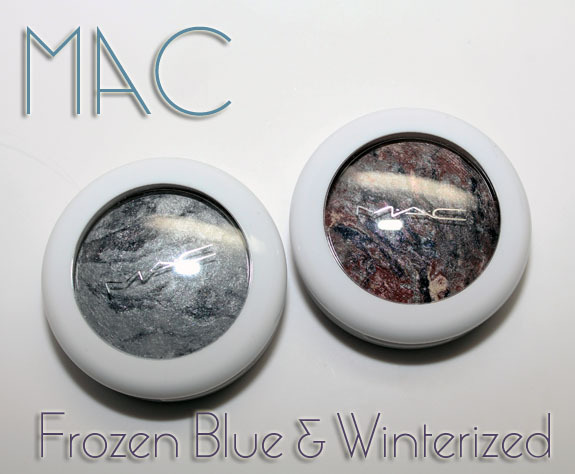 I already reviewed a bunch of items from the MAC Glitter & Ice holiday 2011 collection, but I recently bought two of the Mineralize Eye Shadows which I felt I needed in my collection. 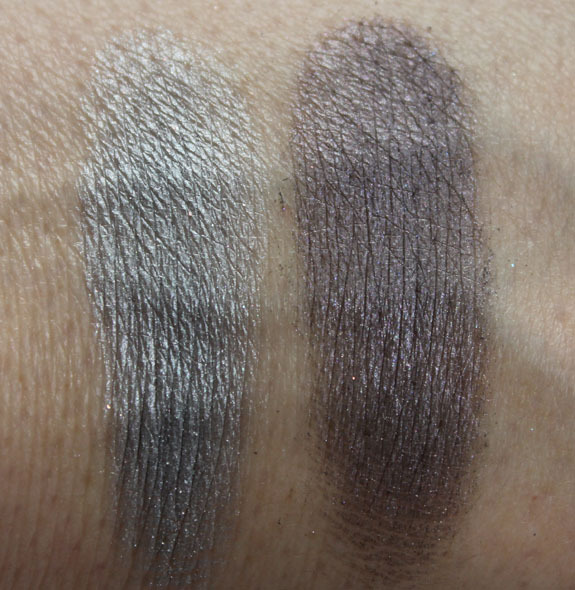 You see, I LOVE Mineralize Eye Shadows now! LOVE. I love the way they look, I love how large they are, I love how soft they feel, I love how amazing they look (usually) both dry and wet. 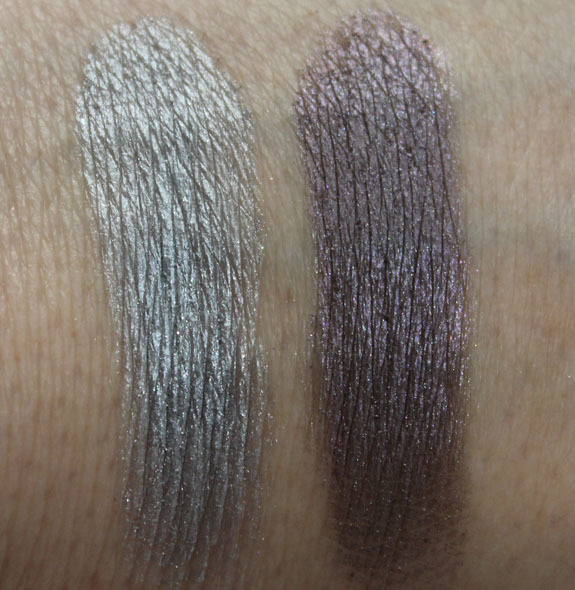 Blue and purple are some of my very favorite eye shadow shades to wear in general, so I decided Frozen Blue and Winterized were must haves. Frozen Blue is a soft greyed-out blue. There isn’t much of a difference between using this one dry or wet. Maybe it’s a little more blue, a little less grey when wet. Winterized is a muted plum purple, which really comes alive when wet. Either way it’s gorgeous but it looks more vivid wet. Both are so pretty, work really well together and I am happy to now have them! 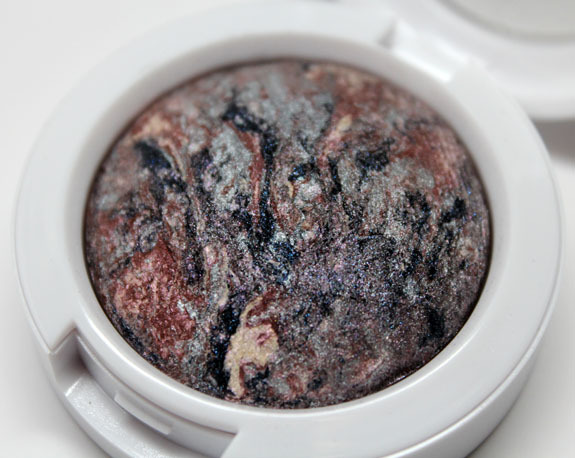 Did you pick up anything from MAC Glitter & Ice yet? Holiday Giveaway Featuring Wet n Wild Coloricon 8 Color Palettes! So pretty! I checked these out the other day and they really are gorgeous! In the pan, they always remind me of little worlds or something. 🙂 I love seeing all the colours swirled around. Sadly, I can’t wear any MAC eye shadows because they always include one ingredient that I’m allergic to. So I can only drool over all their shades from a distance. Swatch And Learn´s last post…Smorgasbord Sundays: Do Redheads Have More Fun? I love how “Winterized” looks like a chunk of granite countertop in the pan! The color (blended) on that one is surprisingly tempting — I like that it’s dark neutral with a slight plum tint rather than straight-up purple. 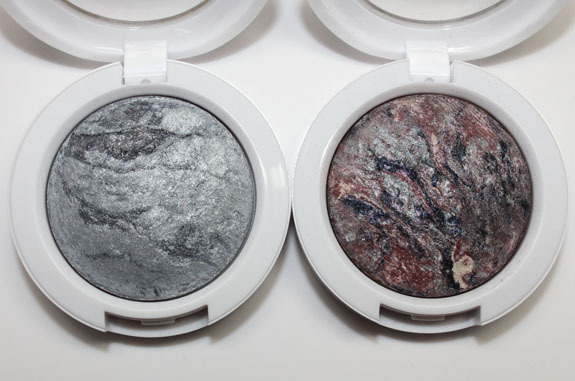 What a shame the shadows in those fun Snowball quads aren’t as nice as these, because omg I wanted one of those compacts SO badly. I did pick up the sheer silvery lipstick, because I like the unusual white packaging and I’m a sucker for odd lip colors (and because I’ll buy anything silver). It’s… okay. Kinda dry feeling, and requires constant vigilance, but you can’t put a lot on or you’ll have gross streaky silver-white Dead Robot lips. Still a fun little thing to have, though! I love Winterized! 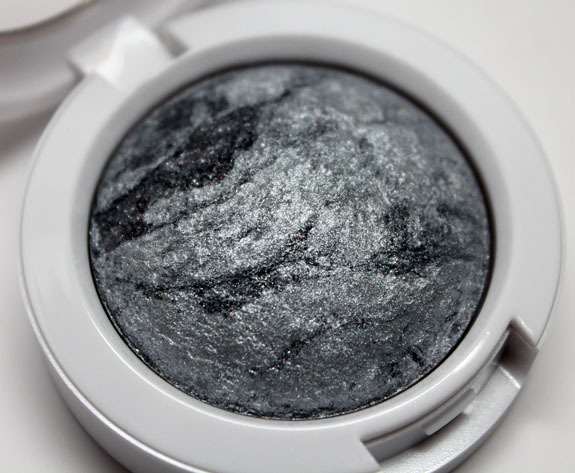 But on me Mac Mineralize Eyeshadows crease so badly even with a primer underneath. I don’t know why because the normal Mac ones do not crease at all on me…. I like Winterized. Very pretty shade. I haven’t bought any MAC for quite some time. What I like always sells out. I can only buy online. I guess I forget to check the site. I like the look of them wet better than dry. I’ve skipped MAC lately since there’s so much more I want to buy. Winterized was the one I wanted, but I skipped out on it. Been addicted to drugstore makeup lately. I got shimmermint and also frozen blue, all other ones look very similar in finish and color, plus kinda moody when you swatched it on the counter. The mint one and the blue-gray one where the one, in my opinion, the ones to pop out the color at the best. Now If you use it with with a paint pot as a base, for example the For Effect from the same line the color intensifies! Great review! thnx fo sharing! They are so adorable but frozen blue is a winner (why is it called blue, I can only see grey)?